Major League Wrestling returns to the Melrose Ballroom in New York City to jumpstart WrestleMania weekend. MLW is holding two nights of shows: Thursday (4/4) and Friday (4/5). Both nights will be TV tapings for MLW Fusion. Friday night’s 40-man Battle Riot battle royal airs live on beIN SPORTS. 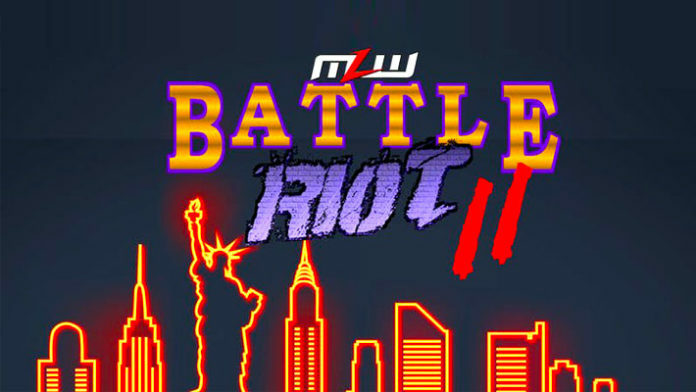 The winner of Battle Riot earns a shot at the MLW World Heavyweight Championship. “Filthy” Tom Lawlor reigned supreme at the inaugural Battle Riot and went on to capture MLW’s top prize from Low Ki. If you’re in the NYC area during WrestleMania weekend, visit MLWTickets.com for details on how you can attend these live shows for just $20.